SI joint dysfunction is a lower back/pelvic condition that can result from joint stiffness (hypomobility) or laxity (hypermobility) at the SI joints. SI joint dysfunction can also be caused by a specific injury such as when a person falls and lands on one side of the body and alters the position of the joint or when an athlete over-trains. SI joint dysfunction leads to pain that may be sharp, stabbing or dull and localized to one side of the pelvis, low back or tailbone. Pain increases with bending, twisting movements and standing from a seated position. The Physical Therapists at Apple Physical Therapy will design a personalized treatment plan specific to you and your injury that include many different manual therapy techniques. Massage and stretching may be used for tight and sore muscle groups. Muscle energy techniques (MET)are used to correct pelvic and SI joint alignment, by using your own muscle contractions to realign the position of the pelvis. Joint mobilizations may be used to improve mobility of the hip, SI joint and low back. 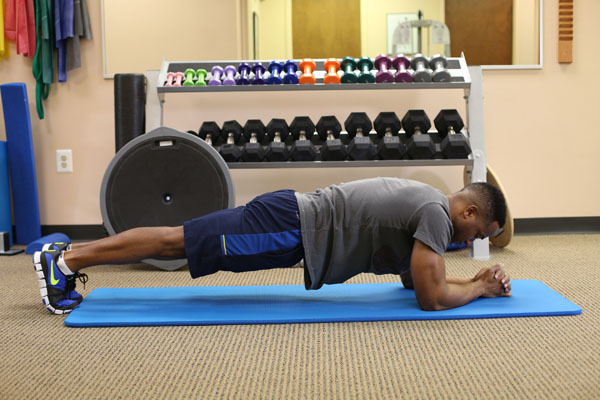 We will also incorporate specific strengthening exercises focused on your core musculature and the muscles of your legs to improve the stability of the sacroiliac joint and spinal musculature. Stretching and range of motion exercises to improve mobility in your back and legs will be included in your treatment plan. If necessary, your PT may elect to use modalities such as heat, ice and/or electrical stimulation to help reduce pain and ready the body for exercise.